Dr. James Takacs is dedicated to patient care. He practises both cosmetic and restorative dentistry, with a special interest in endodontics ( root canal therapy). Dr. Takacs believes in the importance of building long-term relationships with patients, and enjoys working with people to provide them with the best options to achieve optimal oral health and a beautiful smile. Born and raised in Tillsonburg, Ontario, Dr. Takacs received his Dental degree in 1993 from the University of Western Ontario. He is a member of the local dental society, as well as the Canadian Dental Association. Believing in staying current in new techniques, Dr. Takacs has completed numerous endodontics courses, as well as instruction on modern adhesive bonding. 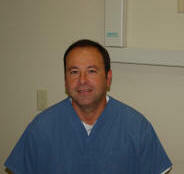 Dr. Takacs has practised in Welland Ontario since 1995. When not practising dentistry, he enjoys golfing, skiing, listening to music, and learning to play the electric guitar. Dr. Lily Marchinko received her Doctor of Dental Surgery (DDS) diploma from the University of Toronto. Dr. Marchinko is dedicated to making her patients feel comfortable in her chair and creating an overall positive dental experience. Dr. Marchinko enjoys practicing all fields of dentistry and places a special emphasis on dental health, disease prevention and patient education. She enjoys working with patients of all ages and works with each patient to tailor their treatment plan to fit their individual aesthetic, comfort and financial needs. Dr. Marchinko regularly attends continuing education classes to stay current with new procedures and technologies. 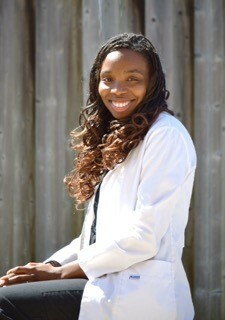 In her spare time, Dr. Marchinko enjoys swimming, volleyball, biking and hiking. She is an avid food enthusiast, although some may say she has an addiction to the Food Network as she has been known to have up to fourteen cheeses in her fridge at once. Dr. Caila Bruzzese, born and raised in Welland, received her Doctor of Dental Surgery (DDS) diploma from the University of Alberta. She enjoys working in all aspects of general dentistry with patients of all ages. She focuses on education and communicating with patients to create an understanding of oral health, so that they may fully understand all treatment options. Dr. Bruzzese understands that comfort and patient care are important aspects in the dental office and portrays this through her empathy towards her patients. Her goal is to create an environment that views each patient as an individual, and tailors to their own health, aesthetic and financial situation, not only through treatment options but by emphasizing the importance of prevention in oral health. Dr. Bruzzese enjoys spending time with family and friends, and traveling in her spare time. Her hobbies include golfing, skiing, music and baking. The professional, welcoming manner of our administrative team will ensure that your first impression of our office is a positive one. They will be happy to schedule you an appointment or handle any billing inquiries you may have. There are several dental assistants on staff. Their knowledge, skills and compassion will ensure that you are comfortable throughout your dental appointment.